It's Nintendo Download time, North America, and this week you have options on Wii U, 3DS and Wii. It's a mixture of the old, the new and DLC extras, so let's get right to it. Toki Tori 2 (Two Tribes, reduced to $13.49 until 25th April, will be $14.99) — Starting off with a 10% discount, this has been an eagerly anticipated arrival on the Wii U eShop for those that enjoyed its WiiWare predecessor. By combining a more open structure that encourages exploration and learning by experimentation, this puzzler takes a different approach and throws in attractive presentation to sweeten the deal. 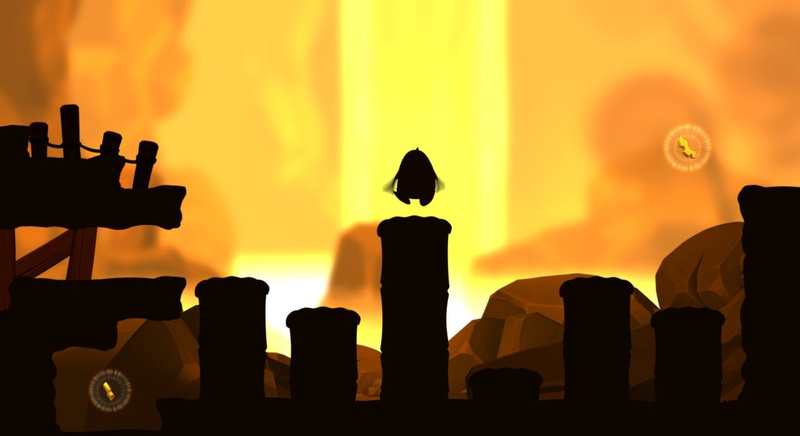 Despite the concept and genre not always being an ideal match, we still found much to like in our Toki Tori 2 review. Real Heroes Firefighter 3D (Reef Entertainment, $9.99) — Based on a Wii title from 2009, this game is certainly on its own as a firefighting sim on the 3DS. While the idea of living through a career fighting fire may appeal, this one falls well short of the Wii variation, with technical and design issues at the fore; we couldn't help but feel burned in our Real Heroes Firefighter 3D review. Gabrielle's Ghostly Groove 3D (Natsume, $19.99) — Originally a retail release way back in October 2011, Nintendo is now listing this as a new 3DS eShop download-only title. It appears to be the same title that graced stores all that time ago and comes in at a lower price point; it's a rhythm game with some nice music and presentation, though in our original Gabrielle's Ghostly Groove 3D review we felt it was lacking in variety. Castlevania (Konami, $4.99) — This NES beginning of a classic Konami franchise is now available on the go, bringing its trademark difficulty and classic music along for the adventure. While it naturally has rough 8-bit edges, the portability and save states on the 3DS platform certainly make it worthwhile for fans yet to sample this well-loved game; check out our Castlevania 3DS Virtual Console review for the full lowdown. Colors! 3D (Collecting Smiles, free) — This update arrives on 5th April and will add some notable new features: you'll be able to follow your favourite artists in the gallery, search and filter for specific paintings or use a hashtag system to make your work easier to find, while you will also have the option to add a message and picture to your profile. These are all nice features that add to an already fantastic package, as our Colors! 3D review makes clear. escapeVektor (Nnooo, $4.99 until 18th April / normally $9.99) — Already on sale in Europe for the past week, this terrific title — a follow-up to an excellent WiiWare release — is now half price in North America for the next two weeks. A challenging, lengthy adventure that sees you maneuvering around a CPU and avoiding enemies, it's compulsive and brilliantly designed. With online leaderboards and plenty of incentive to keep playing, it's not hard to see why this earned a glowing recommendation in our escapeVektor review. Ivy Park ($2, Difficulty: ♦♦♦, 12 Floors — Looking for a quick way to befriend a lot of Snivy? Purchase Ivy Park, where Snivy appear all over. Keep an eye out for the Grass Device, which will permanently boost the stats of a Grass-type Pokémon! Scalchop Beach ($2, Difficulty: ♦♦♦, 12 Floors) — Explore the Scalchop Beach dungeon to encounter and befriend many Oshawott! This 12-level dungeon is full of Pokémon to battle and befriend, as well as lots of cool items to find, including a Water Device! Kecleon Bazaar ($2.50, Difficulty: ♦♦, 20 Floors) — When you encounter a Kecleon Shop in the middle of a dungeon, you can buy items that are difficult to find anywhere else. Explore the Kecleon Bazaar dungeon, and you'll find lots of Kecleon. Shop to your heart's content, and keep an eye out for valuable TMs to teach new moves to your Pokémon. Ultimate Wilds Price: ($3.50, Difficulty: ♦♦♦♦♦, 99 Floors) — In need of a real challenge? Purchase the Ultimate Wilds dungeon, a 99-floor challenge full of tough enemies! If you can make it all the way through, you'll be awarded with the Courage Crown, a special item to reward your accomplishment! This dungeon is so tough that you can only take it on once you've completed the main story. NAM-1975 (D4 Enterprise, 900 Nintendo Points) — D4 Enterprise returns with another Neo Geo treat on Wii, this time with this 3rd-person shooter; you simply move left and right while firing at enemies in what seems like a shooting gallery. Expect bullets to fly everywhere, and we'll have a review for you soon. Quite a variety of options available, so what do you plan to download this week? Let us know in the poll and comments below. forgot to add too bad there isn't a package discount like fire emblem. I am still playing Monster Hunter 3 Ultimate so I will have to pass on these games for now. no they aren't.....3.50 for a 99 floor dungeon is a pretty good price....it's like fire emblem in that you can get characters at the end of those maps...this is the same idea. escapeVEKTOR looks tempting, may have to get that. And, of course, I'll be getting the Colors! 3D update. Will be picking up Castlevania, most likely, along with the Colours! update. Pretty good week. Gabrielle's Ghostly Groove has me interested, but I'm not sure I want it. Ah...I always look forward to the weekly update. Escape Vektor on sale for me. From Phil's glowing review of it and the fact it has like 120 levels for $5.00, it sounds like a steal! And I'll be getting the new Dillon's Rolling Western next week. Once again though, not much for Wii U owners except for Toki Tori 2. Might pick it up. yea missed that one... tempted if im not burned out on the game to buy it when i beat the game... half way though right now ..
Not a thing for me this week either. I was hoping for an Injustice demo for the Wii U since Xbox got one this week but I guess the Wii U wont be getting a demo. what about the swapnote update? @spamineggs It wasn't included in the press release, neither were (as you may have noticed) quite a few of the prices. Very good update. escapevector is a good deal and a lot of variety. Nintendo needs to bring more demos and to make the transition to Wii U VC. Another great update IMO. I'll be getting escapeVektor and Toki Tori 2. To anyone who hasn't got escapeVektor, I personally think it's an unbelievable steal at $5. It's a truly excellent game, and is also pretty darn lengthy and full of content. Castlevania seems like the only game for the 3DS VC worth downloading this week. I just wish we'd get more of a healthier selection of GAME BOY and GAME BOY COLOR games for the 3DS VC instead of NES games all the time. At least we get The Legend Of Zelda: Oracle Of Seasons and The Legend Of Zelda: Oracle Of Ages very soon depending on whether they come in April or May. I've always been curious about Gabrielle's Ghostly Groove, but didn't want to pay a full retail price for it. If they cut the price, I might just pick up the eshop version. I know I'm getting escapeVektor at that price! @ThomasBW84 Yep, I'm gonna get EV! I gotta get the VC Star Wars games. Just downloaded Indiana Jones (SNES) on my Wii U's Wii menu last night...I don't need none of this stuff. I was planning on buying Harmoknight anyways. And a few other things... Like confirmation on 30+ different games like DQVII. Is Toki Tori 2 a good game? It's weird how I spent most of the '90s wondering what the games on this magical but expensive Neo Geo console were like (they cost £200+ for a cartridge in my local 'Terry's Video') and now those games are available I still choose the ones I played on my SNES over them. Never heard of NAM 1975. I'll wait for a review. Real Heroes Firefighter? Why do people make such terrible games? They are basically just wasting money for bad reviews. Also, I might get Toki Tori 2 because that is my first Toki game. @Nintenjoe64 WHAAAAT are you serious?! 200 pounds for a Neo Geo cartridge?! I'll more than likely be downloading Toki Tori 2 and portable Castlevania for today. I was thinking about picking up Monster Hunter Ultimate, so if I do that they will have to wait, but I might as well DL TT2 while it is on a bit of a sale, eh? NAM-1975?? Damn! The NEO GEO selection is incredibly on Wii VC! Why did they wait this long to release the best NEO GEO games?? Scratch that Monster Hunter DLC first, I think that is out today as well and free of course. Castlevania for me, I hear it has aged well. I've been waiting for Etrian Odyssey to arrive this week. And now its nothing for me. The most depressing article of the week. Don't think I will get anything. Gabrielle's Ghostly Groove 3D is $19.99, the other prices haven't appeared quite yet. Nam 75, Toki Tori, and escape vector. Anybody here played TT 2 yet? Is it worth getting? Just wanted another opinion in addition to NL's review. @Tasuki ye where is the demo? also there was supposed to be a need for speed wii u demo up in eshop by the end of march? wtf? the eshop is such a joke at the moment, nintendo needs some new management! they are just way to slow at everything, in this modern age, they have fallen so behind, i mean the wii u virtual console whould have been up an runnig by month 2 after launch, an should have been filled to the brim of all those epic nintendo classics, a dozen here, an there for each old nintendo platform is not enough,thats what happen with the wii, an now with the wii u, its not even ready! also why are the demos an stuff so slow to go up? everything about nintendo is just to slow,same with the game development cycles, they take way to long, an now since the wii u supposed third party support is a EPIC FAIL! we as wii u owners need some games, an need them fast, i am fed up of waiting, this is the first console which i bought at launch without any killer app, an iam tired of nintendos lack of advertising, lack of first party games, hell we still dont even have a concrete release date for pikmin 3, which was supposed to be a launch window game, EPIC FAIL!!! that has got to be the longest launch window i have ever seen! LMAO! All of the prices are now up, Real Firefighters is $9.99. Nothing for me this week, but I did get a $20 card today so I will be getting something, just nothing from that list. I'm definitely getting Super C, probably Order Up!! since it's on sale, and HM when it comes out. Remember that every purchase of real firefighters, some money goes to a firefighter cancer charity. Just the Colors! 3D update for me. Still playing through Legend of the River King though, so this slow week doesn't bother me. Will pick up Toki Tori 2 at some point in the future, but probably not this week. Will be making use of that Colors 3D update though. i would love to see some of the old VirtualBoy games hit the 3DS VC. Seems like a perfect fit to me. @LonDonE I don't know what to say to the rest of your rant, but maybe the development cycles take so long because they're trying to produce quality games that use new ideas rather than rattle one off per year per franchise like Call of Duty or Battlefield which normally lack innovation. Good games take time you know. Ah, NES Castlevania. 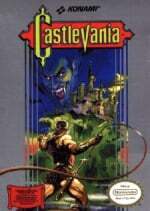 Back when Castlevania was Castlevania, not God of War (sheds a nostalgic tear). Still, owned it on my NES for, oh, 24 years. Nothing for me this week. Looks like there won't be until Zelda Oracles arrive. Nothing for me this week..
@Five-seveN Well to be fair, Battlefield doesn't come out every year like the milked COD series does. @Rafie True, probably not...I don't know as much about BF as I do CoD, but it seems like a BF comes out quite frequently. Downloading Toki Tori 2 right now, after it got glowing reviews on a few other websites (and a good one on here). Then, I think I'll pick up escapeVektor. @Tony_342 I got Escape Vektor too. Haven't had the chance to play it much yet. Drop a comment later and tell me what you think of Toki Tori 2. I was kind of wanting a second opinion. Anybody know what happened to the Dsiware for the last two weeks??????? Ok, ok I know that the dsiware has not been the best of late but PLEASE...none at all ?????????????? Geesh! Those of us who cannot afford a 3DS are hurting. DOES NO ONE CARE OUT THERE >>>>>>>!!!! lol I guess not...sigh! @Joygame51 I guess DSi ware is taking a back seat. Can you save up for a 3DS? I wonder if all the things broken with Real Heroes was fixed for the US release. I'm guessing not, but some kind of confirmation would be nice. This article must be tagged with "Wii Virtual Console" because of the Neo Geo Game. It also must be tagged with "3DS eshop". Wow! NAM-1975! Really?! When new systems were announced for VC, I researched for their first and most representative titles... this is the first Neo Geo game! I spent years waiting for this, but at this point and at the same prices I'm not sure if I'll get it and I wouldn't like 100 spare points just floating there in my account. I didn't see that coming, even if it was to be expected now that most known fighting Neo Geo titles have been released. With this my hope on Mayhem in Monsterland, Devil's World and Mario's Super Picross is renewed, if any of those is released Ill sure get it with NAM. Nada, saving my money for missle defense system's. Got up to zone 3 on Escape Vektor and man this game was worth more than $5! What a steal! Also can't find firefighter on the eshop. @ThomasBW84 I got escapeVektor on sale last week (EU) and I completely agree. My one complaint is that there are too many levels. I shall be writing to Nnooo on the morrow to ask them to remove some. Castlevania and escapeVektor for me! Can't beat it for $4.99! how about we just start calling it NEO GEO SHOP---f*cks sake, can we get a freaking N64 title on the VC before the Wii Shop completely explodes? @undead_terror I saw it last night...I think in new arrivals. And so the 3DS still gets WAY more stuff every week then the Wii U. A Neo-Geo game that's not a fighting game and a good one at that? Finally. I liked Wild Guns so I'll have to download Nam eventually. Toki Tori 2 is amazing everyone please give it a try when the demo comes out.